Where UX, CRO and design meet machine learning & neuroscience. To be successful in today’s crowded landscape, marketing agencies need more than just ideas: they need to bring data and insights to the table as well. Cocomore earns their clients' trust by incorporating a host of solutions to meet their customer’s goals, including EyeQuant. How Ambition Data makes data actionable for their clients. Digital marketing experts know that having data is critical for understanding and improving digital performance for their clients. But all that data can sometimes be overwhelming - especially for clients and stakeholders who aren't accustomed to it. In order for insights to be shared and undrstood, raw data sometimes needs to be turned into something more meaningful and intuitive. In this case study we’ll show how Ambition Data uses EyeQuant to do just that. It's become a mantra of today's designers to opt for clean designs. No matter if you're a B2B, eCommerce or SaaS company, limiting the amount of content on a page will almost always positively impact user engagement and conversions. This isn't only based on professionals' opinions and experiences either, but is also backed up by hard data. For example, we ran a study on 300 top websites from different industries and found that there's a clear relationship between how clean a design is and how well it keeps users on a site. Specifically, we found that cluttered designs, the opposite of clean design, lead to higher bounce rates across all industries. Yet, despite all the best practices and data, clutter can still be found all over the web. A/B testing is a powerful method for testing design variants, but it's also expensive. Each test costs time, traffic, and development resources. Adding to the frustration, only one out of seven A/B tests generates any meaningful uplift in the first place. This means there's always a considerable risk that the test variants will underperform, cost immediate revenue and eat up time and money. Almost all conversion teams feel the strain of limited resources in one way or another. The user experience starts way before anything is read or clicked. It only takes 50ms for users to form a first impression of your website. 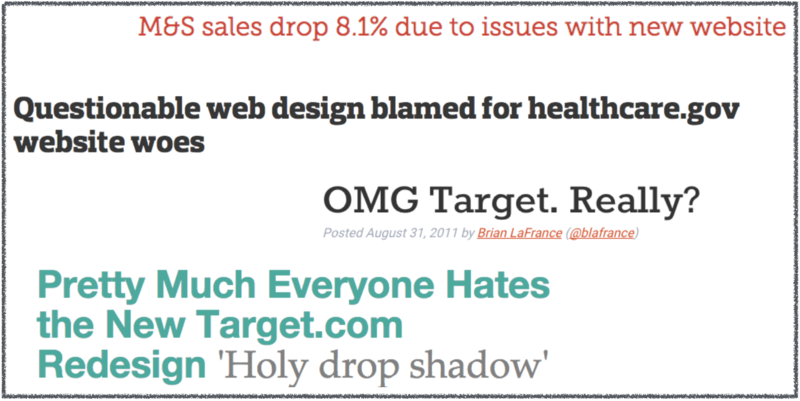 These are gut reactions that are emotional at heart and result from the way your site is designed. It can lead users to be excited, calmed, or even bored right as they land on the page. This is why it's important to make sure that your design evokes emotions that match your product or service. 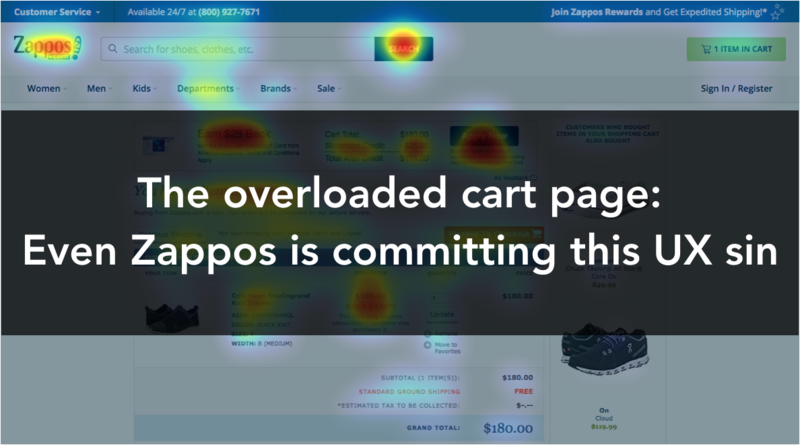 The Overloaded Cart Page: Even Zappos is Committing this UX Sin. Working in the UX space rapidly leads to a different perspective on web design. You start looking at things through a different lens. Suddenly UX issues stand out more and become frustrating not just from a user perspective, but also a professional one, since many of them could easily be fixed. Most Website Redesigns are a Waste of Money. Here’s What Sets the Successful Ones Apart. In the digital world, trends dictate everything - and that most certainly extends to websites. Why else would practically every homepage on the internet use a rotating carousel banner? Why else would eCommerce shops ask if you want to share their product detail page on Twitter? Remember when half the websites you visited had music? Remember when they were all made in Flash and took 2 minutes to load? On the EyeQuant blog, we often write about the importance of visual hierarchy on websites, and making sure that users can quickly find what they’re looking for. We often give tips for how to visually emphasize key content. But how do you know which content is actually important and needs to be seen right away? Product pages ultimately exist for one reason: to showcase a product a shopper is interested in and close the sale. It's where we put our washing machines, dresses, and shoes on display to convince our shoppers that this is what they’ve been looking for, and that we're the ones to buy from. 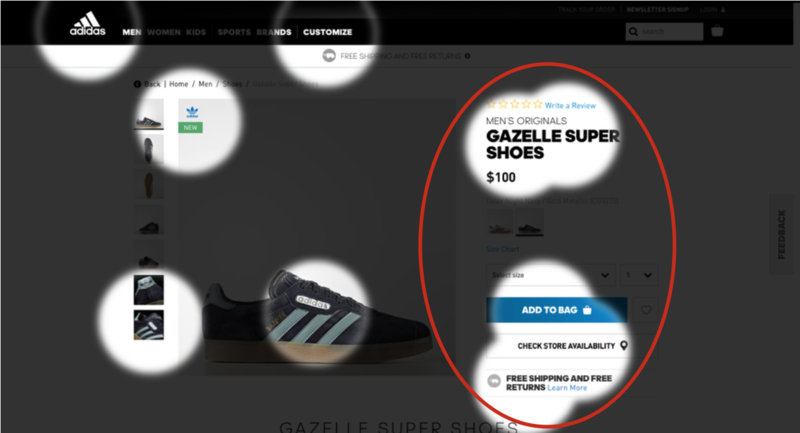 Here, it's super important that the next steps visually stand out to make it as easy as possible for shoppers to place an item into their carts. There's nothing worse than a frustrating user experience at this stage. The most basic job of web design is to ensure that users can find what they're looking for as quickly and easily as possible. 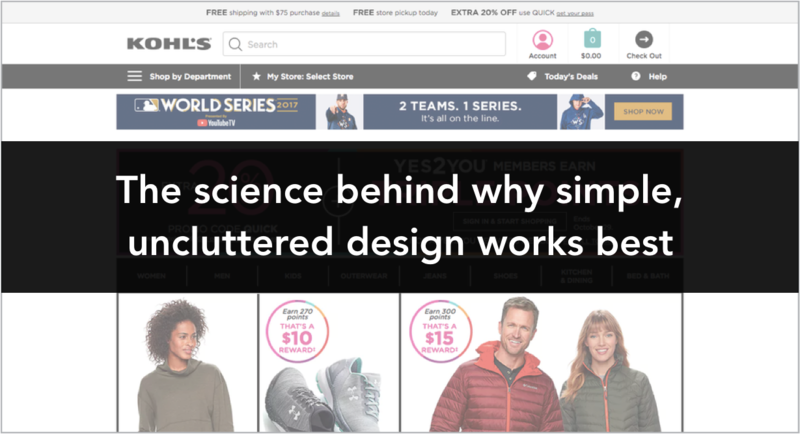 This is where visual hierarchy comes in, a concept originating from 20th century Gestalt Psychology, which explains how websites can lead or direct users' eyes via certain visual cues.